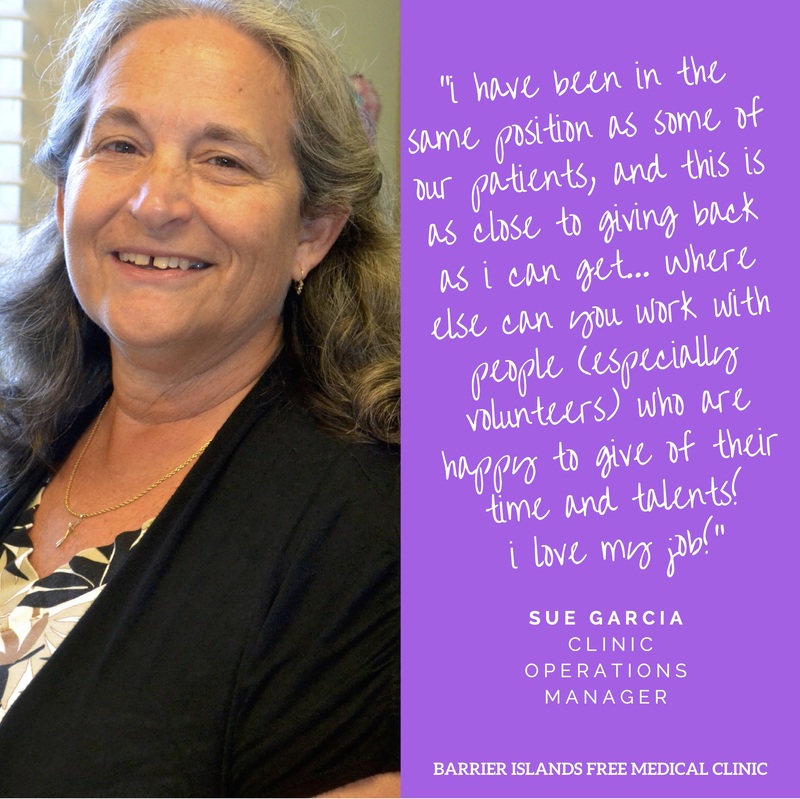 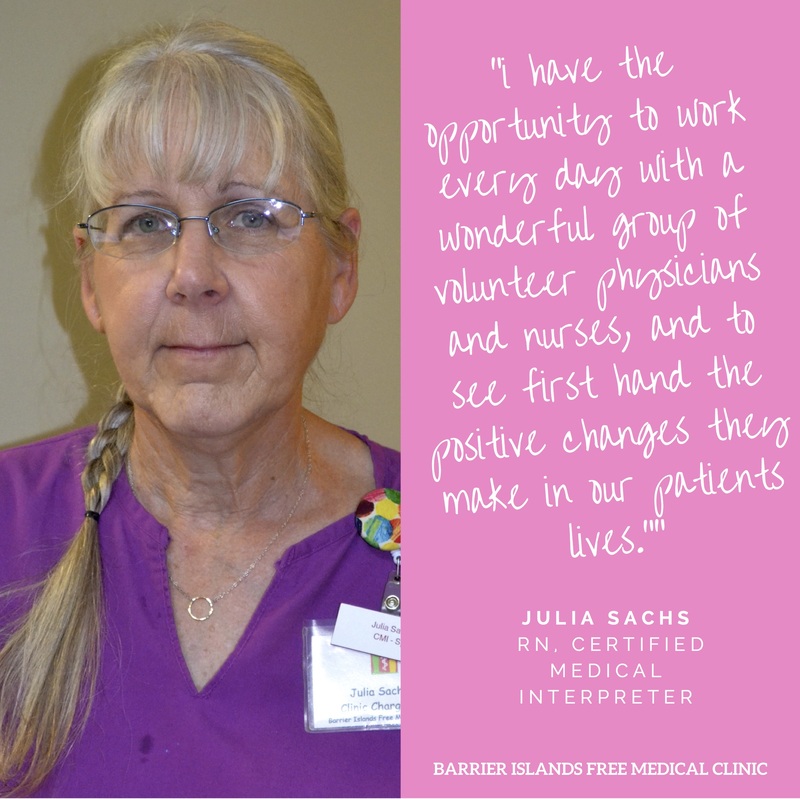 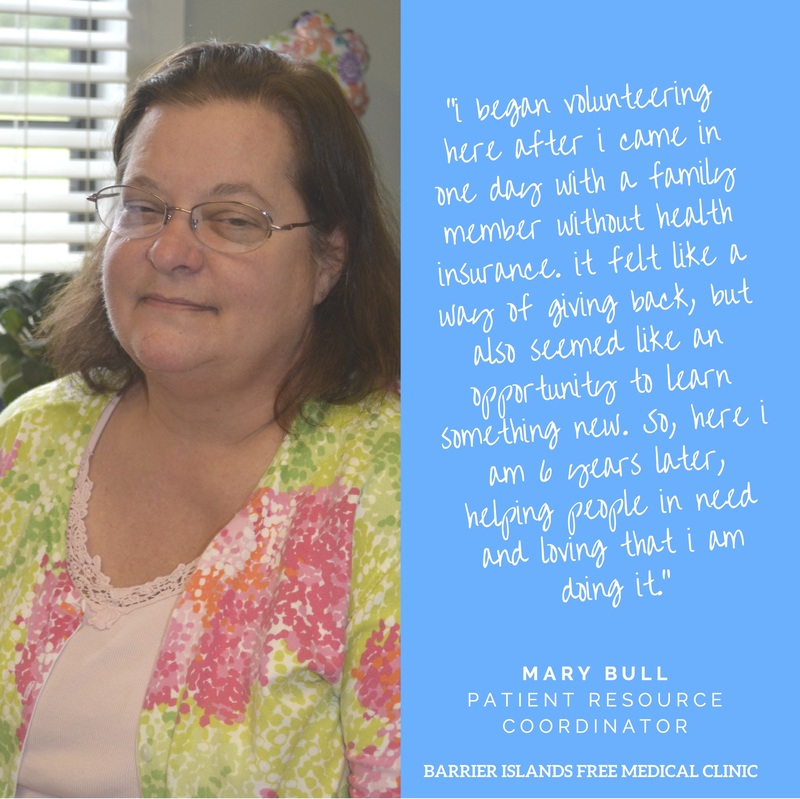 At Barrier Islands Free Medical Clinic, we love what we do and the community we serve. 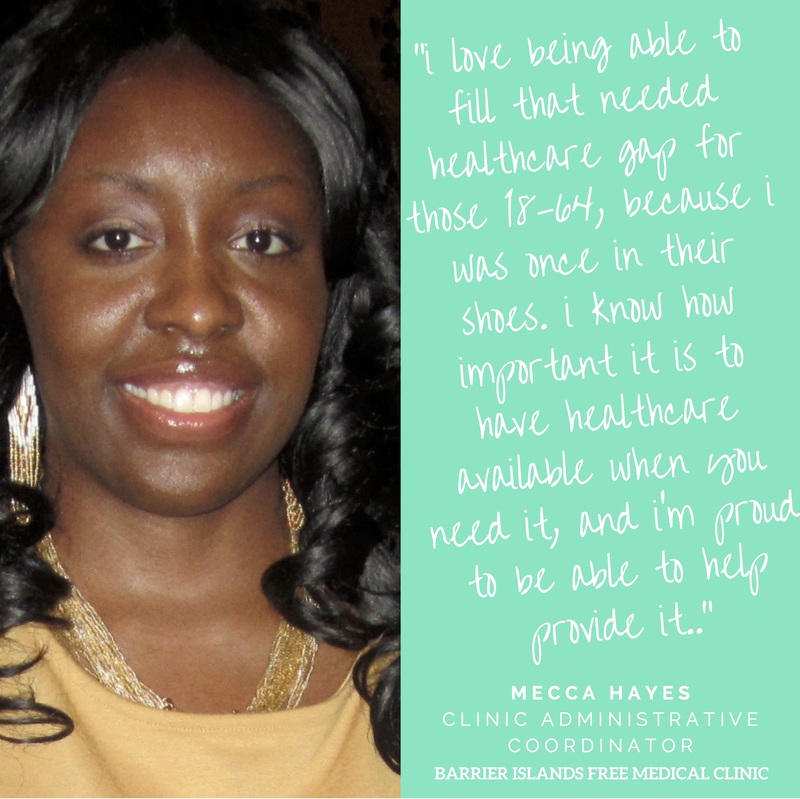 Meet our staff and learn what makes them proud to be a part of The Free Clinic! 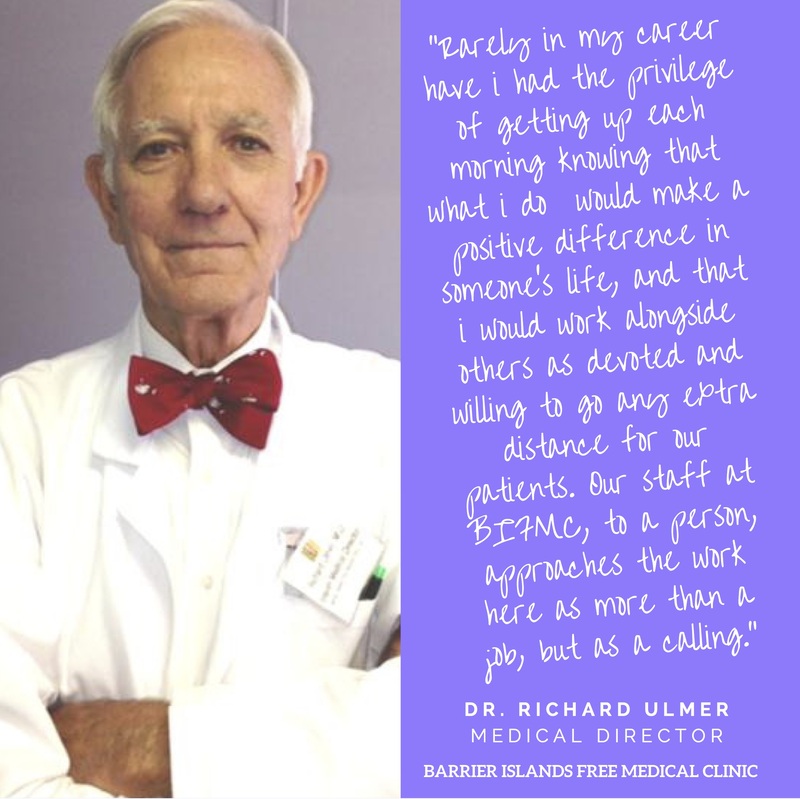 For all general inquiries, please contact info@bifmc.org and we will connect you to the right person. 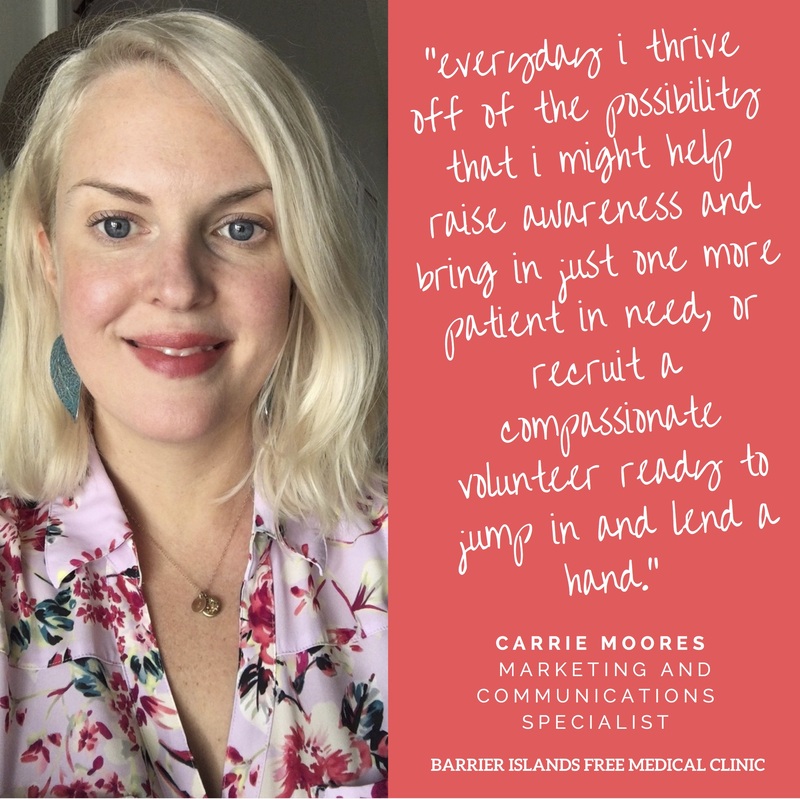 For outreach and communications inquiries, please contact Carrie Moores. 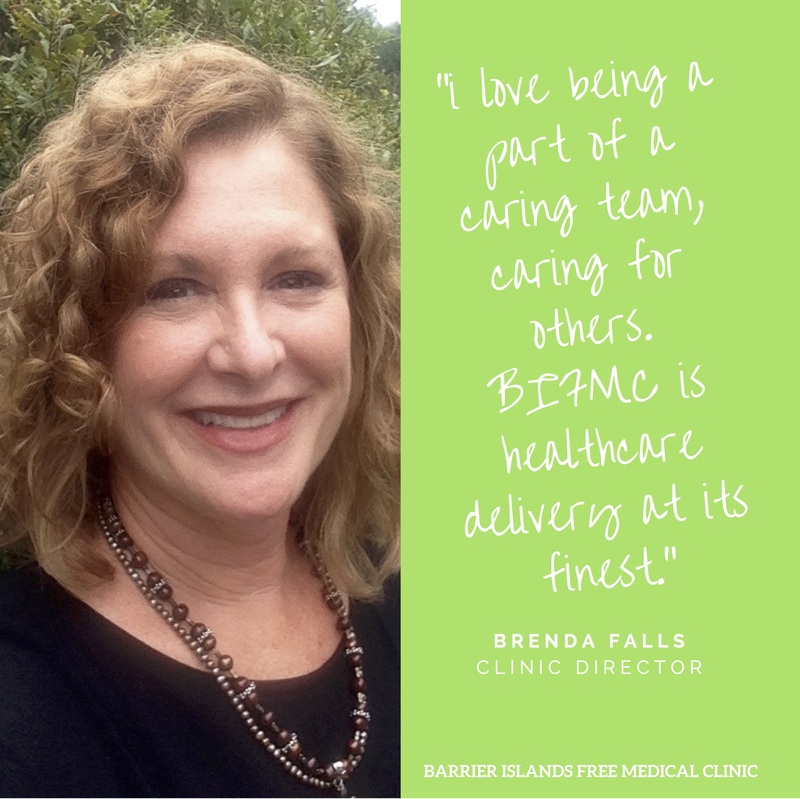 For inquiries regarding clinic operations, contact Clinic Director Brenda Falls.